One of the greatest pleasures of being a published author is when you learn your books have been translated into another language. 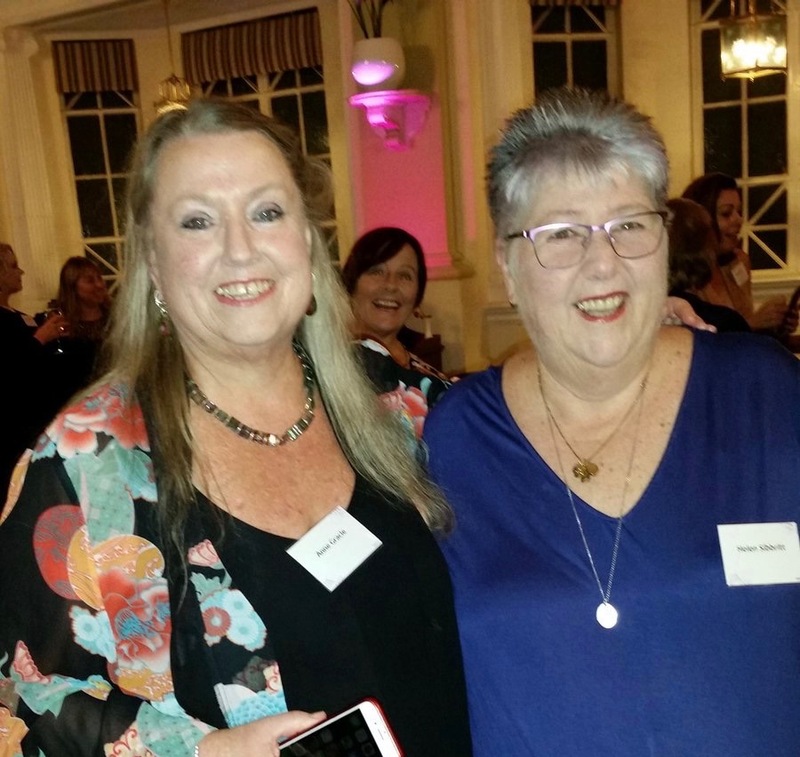 It’s such a thrill to learn your story will be read by people in other countries. So far my books have been translated into 19 languages — at least I that’s how many I think there are. Not all the foreign publishers send me a copy. Usually I learn about them when either a reader writes and tells me or some copies land on my doorstep. My publisher notifies me that they’ve sold the rights, of course, but that’s long before the actual publication date, so when the books actually arrive, it’s a nice surprise. The doorbell will ring, and it will be the postie who hands me a box, or leaves it on the doorstep. And when I open it, it’s a lovely surprise — my books in Dutch, or Norwegian, or Spanish or German, or whatever. These are the latest — the Merridew sisters series (aka the “Perfect” series) in Indonesian. They arrived on my doorstep a few days ago, forwarded from my publisher. The Indonesian ones come in shrink-wrapped plastic, which is something a little different. I’m not sure why — possibly to stop people reading the books in the bookshop, something I used to do when I was a kid. Such pretty covers, aren’t they? On my facebook page and on Instagram, I posted the Indonesian back cover blurb, so click on those links if you’re curious. I always find the variation in covers fascinating. Here is the Slovenian cover for The Perfect Rake in the same series. 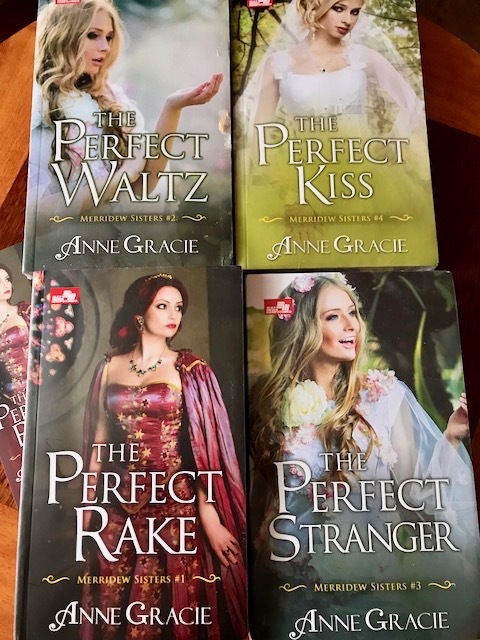 I found these covers when a Slovenian blogger blogged and tweeted about them, and tagged me in her post — for which I’m very grateful. I don’t have covers or copies of all my foreign translations. One day I might try to create a post with as many covers of one title as I can. But for now, I’m sticking to a few. 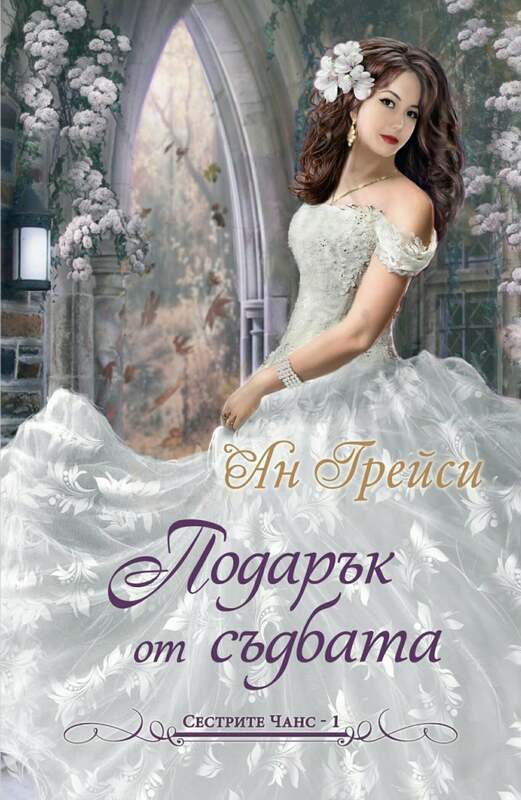 Below is the Bulgarian cover for the Perfect Rake. A different feel again. All the covers are glamorous, of course, but highlighting different things. 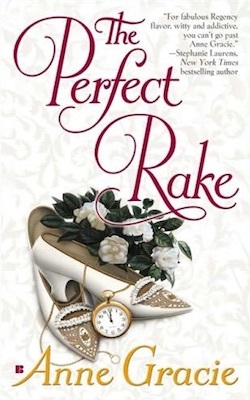 The original English cover of the Perfect Rake doesn’t even have people on the cover. It’s very different, but very pretty, too, I think. It was my first book with Berkley (PenguinRandom New York) and I was thrilled when the cover first arrived. You can’t tell from this photo, but the cover was embossed (textured) and the title was in dark red foil, so it glittered. I remember patting it — quite a lot, like a cat. <g> The reprints of the cover don’t have foiling or embossing—they’re expensive processes—but if your copy does have the embossing, it’s a first edition. So do any of these covers please you? Which is your favorite? Spring has arrived in Melbourne and gorgeous flowers are popping up everywhere. 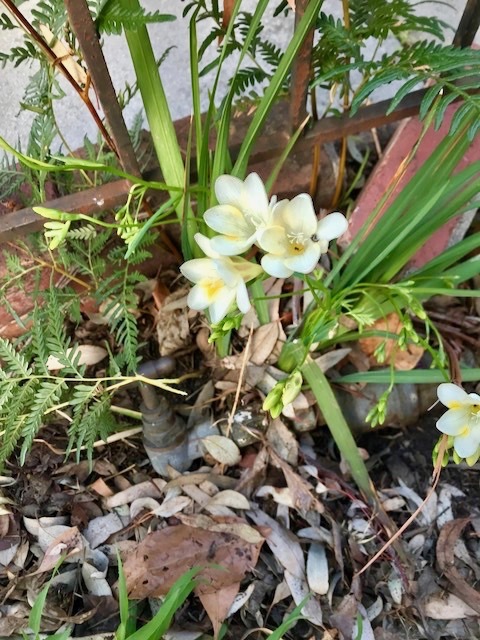 Even in a neglected and weedy corner of my front driveway, self-seeded freesias are in bloom. They’re one of my favorite flowers, hardy, and so fragrant. These ar the old-fashioned kind, and for my money they smell better than the bigger, splashier and more colorful ones that have been bred, though I do like them, too. Years ago I used to spend a lot of time around Lorne, a pretty coastal town in Victoria, and at this time of year, all along the grass verges of the roads there would be masses of these little creamy, fragrant freesias. I invariably picked some to take home and pop in a vase, and their delicate fragrance would fill the room. I used to feel a bit guilty about picking them, but I’ve since learned that they’re regarded as a weed — they’re not indigenous to Australia —and so the local council has now eradicated them with poison. I feel a bit sad about it. I do understand that the local flora and fauna needs to be protected, but I did love those freesias.